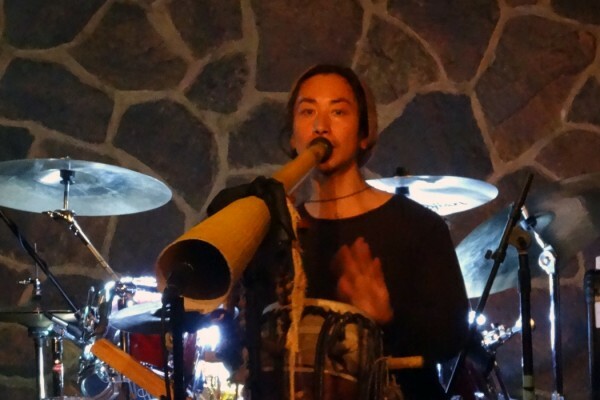 TORONTO — Wandering backpacker and musician Hoshi Ho ssy spent 10 years traveling the world with his drums and didgeridoo. He began playing when he was young and was taught by his grandmother to play a number of instruments. He told us that she was a great inspiration to his music and lead to his many opportunities to meet people around the world. We sat down with Ho ssy during his stop in Toronto to talk a little about his travels, what got him started on his traveling music career, and why he stopped in Toronto. These initial years of playing also lead to his favorite style of performance: playing in public view. This gives him a chance to refine and build his style which people to see if people are attracted to his music. He started to travel around the world 10-years ago, and he’s been to quite a few countries. “It is my first time to show my performance in front of people in Myanmar,” he told us during our interview. “I remember that I really had fun to play music surrounded many children. I tried to get used to play in front of people at that time,” Ho ssy said during our interview. Originally playing just the conga, Ho ssy now incorporates a number of musical instruments in his performances and he’s particular about what he plays. “I usually care about instruments made from natural material because I think things made from nature feels warm,” he said. He enjoys traveling and play music, and is always grateful for what people have given him over the years. He looked back at that time with some amusement as it was a turning point for him. Ho ssy’s dream is to play in japan one day. “My final goal is that I will make people happy in Japan. It is no meaning even if only I’m happy. I want to lead our country,” he said powerfully. Ho ssy will be finding his next stage over in Australia, and no doubt people there will be fascinated by his music and his performances.